Landraces have arisen following domestication, through a combination of natural selection and selection performed by farmers, becoming adapted to local conditions. As opposed to modern cultivars, landraces have been less subjected to genetic drift and selection, and display a broader genetic basis. 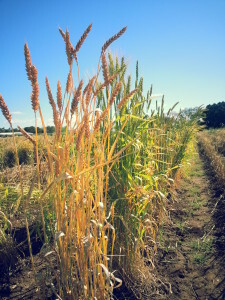 In wheat, diversity among landraces has been successfully exploited in breeding programs to improve tolerance to local stress resulting in improved yield stability. Historical germplasm, such as landraces represents a potential source of valuable genetic variation. This material is stored in gene banks, and represents over 850,000 viable wheat samples in 229 independent collections preserved around the world. 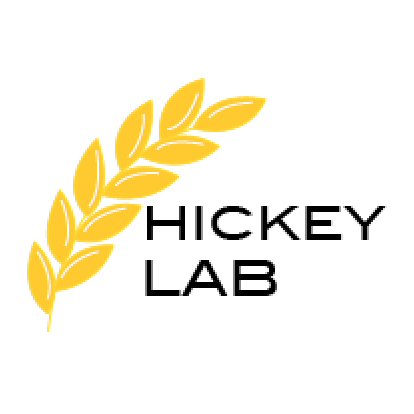 In 2014, Dr Hickey assembled a diversity panel of 300 wheat accessions including; landraces, cultivars and breeding lines, originally sourced from the Vavilov Institute of Plant Industry, St Petersburg, Russia (244 accessions) and the A. E. Watkins Landrace Wheat Collection, John Innes Institute, England (56 accessions). The 300 accessions were collected from different geographical regions of the world between 1922 and 1990. In this panel, 211 accessions originated from 28 countries, corresponding to 14 different agro-ecological regions of the world. 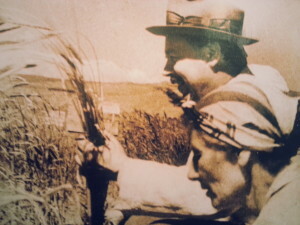 The exact agro-ecological origin of the remaining 89 accessions was unknown; they were collected at the time of the former Soviet Union, from the following present day countries; Russia, Armenia, Azerbaijan, Georgia, Kazakhstan, Tajikistan, Turkmenistan, Ukraine and Uzbekistan. The diversity panel was genotyped with 56,000 DArTseq DNA markers. In order to benchmark genetic diversity in the panel, an additional 20 cultivars and elite breeding lines from Australia and the International Maize and Wheat Improvement Center (CIMMYT) in Mexico were also genotyped. Cluster analysis revealed the Australian and CIMMYT cultivars were closely related and contained limited diversity compared to the panel of 300 accessions. Riaz, A., Hathorn, A., Dinglasan, E., Ziems, L., Richard, C., Singh, D., Mitrofanova, O., Afanasenko, O., Aitken, E., and Godwin, I. 2016b. Into the vault of the Vavilov wheats: old diversity for new alleles. Genetic Resources and Crop Evolution:1-14. This diversity panel is an open-access resource and available to researchers, pre-breeders and wheat breeders. A small quantity of pure seed can be requested from the Australian Grains Genebank in Horsham, Victoria, Australia (contact: sally.norton@ecodev.vic.gov.au) and will be provided under a Standard Material Transfer Agreement (SMTA). The DArT-seq marker data is available upon request from Dr Lee Hickey (l.hickey@uq.edu.au).